We've arrived at our seventh and final post for our MONQ takeover, and I couldn't dream of a better recipe to end the week with! 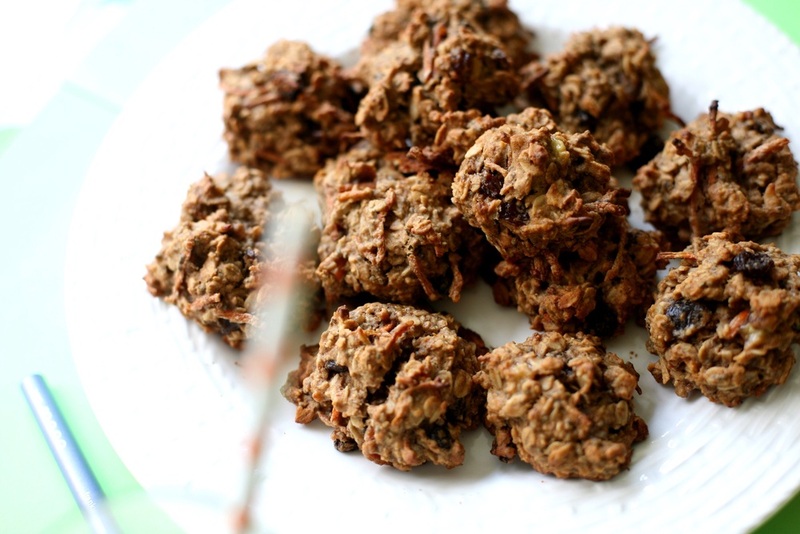 These are incredible to make on a Sunday and snack on for breakfast with coffee for the rest of the week. All the flavor of carrot cake, but free of refined sugars and oils and always 100% vegan! According to their site: it’s a recyclable diffuser that promotes mood change and various effects through our custom blends of essential oils and the ancient practice of aromatherapy.MONQ is the simplest aromatherapy device in history. You don’t have to know anything about essential oils—we do all of that for you. Simply pick the way you want to feel, open your MONQ, and breathe in as your MONQ diffuses an eclectic blend of essential oils and wild plant extracts! MONQ is available in 7 different blends, all of which are organic, natural, and free of nicotine, tobacco, or artificial chemicals. Combine all dry ingredients (except sugar) in a large mixing bowl. Set aside. In a stand mixer or by hand, throughly mix chia egg (that's sat for 10 minutes), mashed banana, applesauce, sweetener, vanilla and oil until well combined. On a lower setting, slowly add the dry ingredients. Slowly fold in raisins, coconut, and carrots. Dollop 2 tbsp size cookie rounds on a cookie sheet, and shape as desired. Allow to fully cool before enjoying.